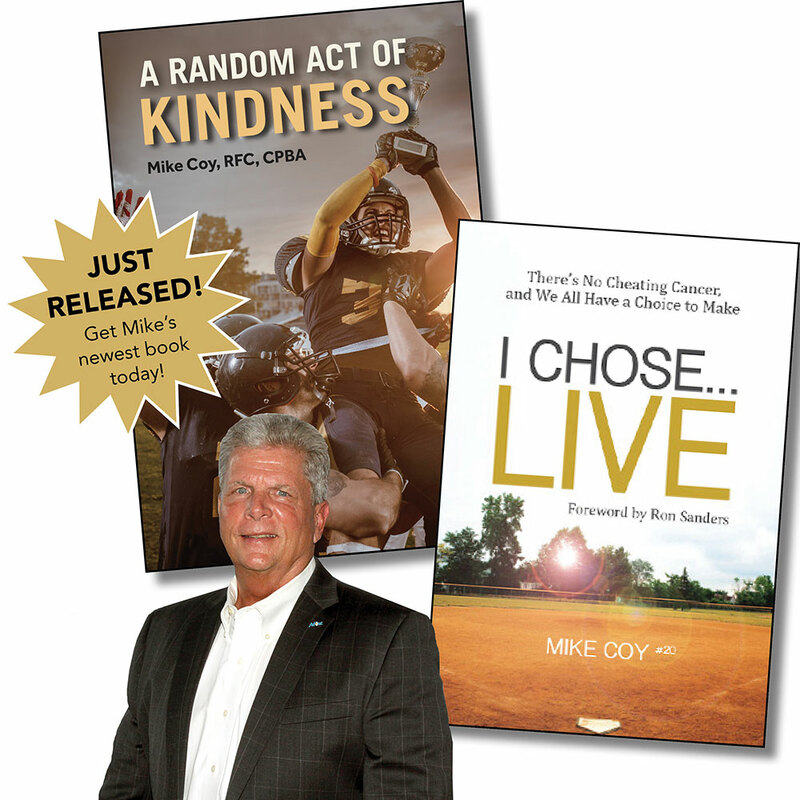 Mike Coy is a winning baseball player and coach, a successful businessman, public speaker, and author. He knows that hard work pays dividends – both on the field and off. Playing sports gave him the discipline, direction and purpose to get through the biggest challenge of his life. In I Chose…Live, Mike Coy recounts his battle with cancer, raises awareness for cancer prevention and early detection, discusses modern advances in cancer treatment and research, and reminds the reader to keep smiling no matter how many curveballs come their way. Mike beat cancer in 2013 and continues the fight for others through raising awareness, fundraising opportunities and speaking engagements. Book Mike to give a presentation to your organization and learn more about his winning strategies for success. I Chose…Live is part of MLC Charities, Inc., a 501(c)3 Non-Profit Organization. 100% of the net proceeds from events and purchases through this website benefit the Aflac Children’s Cancer Hospital in Atlanta, a recognized leader in fighting childhood cancer and blood disorders. There are many different types of cancer. Let’s make them all history! Cancer is a horrible disease. You know how hard it is for adults to fight back against Breast Cancer, Lung Cancer, Colon Cancer, or Prostate Cancer. Now imagine fighting for your life as a child with Leukemia or Lymphoma. All types of cancer are devastating. All of them possibly deadly. In my case, it was throat cancer. An HPV Basil tumor on the base of my tongue. If I had waited two more months before treatment, the tumor would have grown across my windpipe and I would be dead today. I am now a 5-Year cancer survivor and a living example of why you need to go get checked. Period. My name is Mike Coy. Before my father passed away, he said; “Make a Difference Son”. That’s what I strive to do each and every single day of my life! It is now my mission to raise awareness for cancer prevention, the need for early detection, and to raise funds for cancer research. I have created MLC Charities, Inc., a 501(c)3 non-profit organization specifically for this purpose. I am raising funds for The Aflac Children’s Cancer Hospital in Atlanta, GA. I want to help our doctors and researchers find a cure for juvenile cancer in my lifetime. I hope that I can encourage others to take their health seriously and to get checked before it’s too late. Especially men! With men, the two most prominent types of cancer are Colon and Prostate. The two simplest cancers to treat IF caught in time. However, statistics prove men don’t go to the doctor and don’t get checked. That’s why our death rate is 58% higher than women’s. When we finally make it to the doctor, we are usually in Stage 4. There are so many things we can do to improve our chances. Just ask me, I know! You have a choice in your cancer journey. “Either get busy living…or get busy dying”. A quote from the movie Shawshank Redemption that got me out of my “feeling sorry for myself” state of mind. I Chose … Live. I assure you, for someone that was never sick a day in his life, this “wake-up” call has changed my life. Learn how I applied the winning strategies from my sports career to my challenge of fighting cancer. I pray these lessons learned will help you, or your loved one, win the fight too. I invite you to learn more about my journey with cancer and to help raise funds for cancer research. When you purchase any of the items below, a portion of all profits are donated to the Aflac Children’s Cancer Hospital. 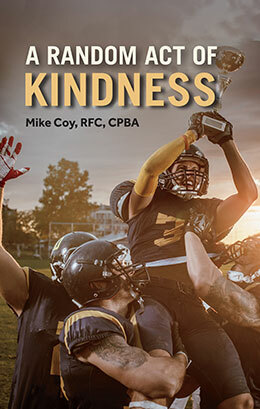 In my new book, A Random Act of Kindness, a young man sees something he knows is not right, steps in, and makes a difference to someone he does not know and has never met before. That simple random act of kindness ended up making a life-changing difference! Now you can help make a life-changing difference for someone you don’t know. Help me help “my kids” with cancer by purchasing the items available on this website. 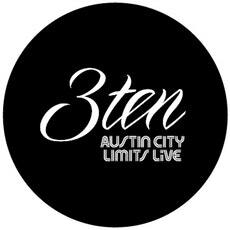 After the successful fundraiser, Mike Sings Elvis!, Mike Coy is already planning an Encore Performance where he will once again be singing all of the hits of the “King of Rock and Roll” at the ACL310 Theater in downtown Austin. Several other exciting shows are also in the works. Stay tuned for details and join in on the fun! 100% of all proceeds go directly to the Aflac Children’s Cancer Hospital. 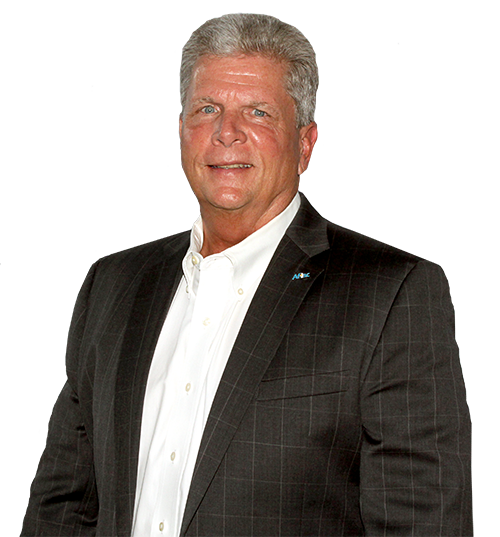 A professional speaker on Selling, Business Solutions, and Healthcare topics for 40+ years, Mike Coy is also a wining coach and baseball player who enjoys presenting to groups of all sizes. Customizing the message for your specific audience, Mike delivers an entertaining and inspirational presentation that is motivational and uplifting. A portion of all proceeds go directly to the Aflac Children’s Cancer Hospital.